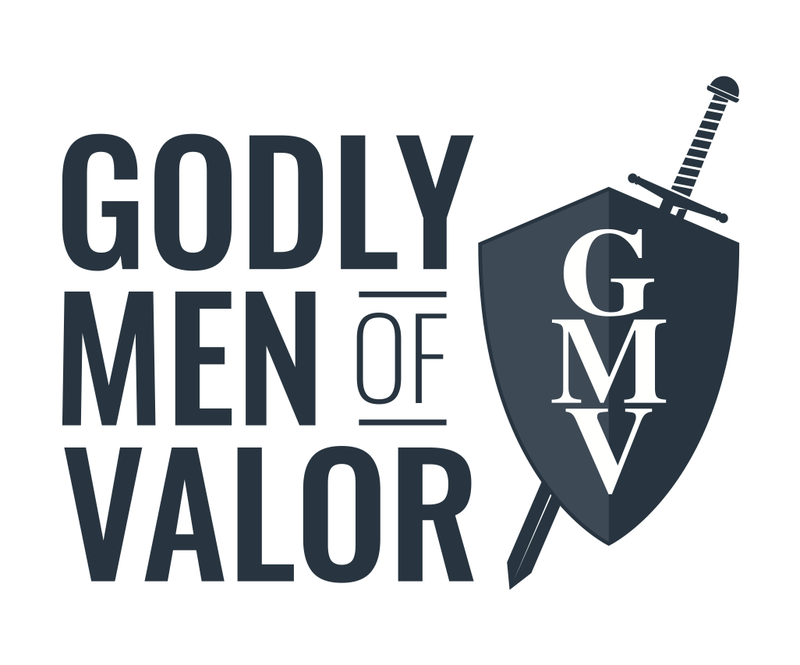 The next GMV will be held in Lindale, TX (near Tyler, TX) on March 15th and 16th!! To register for this event click HERE. If you’d like to tell friends or family, they can go to www.GMVevents.com to register, but send them this page as well so that they will come prepared. I recommend you include your cell phone number when you register so we can text you updates as well. We have food and lodging arranged for attendees. There are two lodging options. Hotel style rooms that sleep two to three people, and a dorm or barracks-style area that sleeps more than 50. The barracks do not have linens or pillows so this option would be for those who are driving in, and who want to save money. Option A: $150.00 per person. That covers 5 meals (Friday Breakfast-Saturday dinner) and your hotel stay Friday night. If you are flying in, and need lodging Thursday and/or Saturday nights, then each night is $42/night per person. There are several restaurants in the area for Thursday dinner and/or Sunday breakfast. Option B: $125 per person. This covers 5 meals (Friday Breakfast-Saturday dinner) and your dorm room bed. You will need to bring your own bedding and pillow. This is a great option for large groups of guys who want to share the same area or those who are driving in and have room to pack sleeping bags, or sheets and blankets, and a pillow. If you choose to drive in to stay Thursday night, then Thursday and/or Sunday night lodging is $22/night per person. When you register for the event, you will need to pay for Option A or Option B. We encourage men who plan to attend to donate towards the organization of the event by adding additional funds to your registration. For example, Joe wants Option A. Joe registers for the event and donates $250 ($150 for Option A + $100 donation towards expenses). Registrants are encouraged to note which option they are requesting. If you need an additional night(s), Thursday and/or Sunday, you will pay the campgrounds at the time you arrive on the campgrounds. Garrett Moore is the GMV organizer, and he can be reached on his cell at (214)-600-0534. The info below is subject to change so be sure to like our GMV Facebook page to be kept abreast of the most current updates. Click HERE to be taken to our GMV page on Facebook. We will start at 8AM Friday Morning, have a lunch break, and continue to late afternoon usually finishing up in time for dinner, or “supper” as we call it here in the south. We will also start at 8AM Saturday morning unless otherwise announced on Friday. This is a full day of teaching with worship and deliverance ministry throughout as the Spirit leads. While your meals are included, it is advised to bring some snacks such as protein bars or granola bars for snacks between meals. We will provide bottle water during the event. You may also want to bring a pen and notepad, notebook, or laptop for taking notes on spiritual warfare. On Saturday, Shabbat, wear comfortable casual attire. A Polo shirt and jeans are very common, but a nice GMV t-shirt works well too 😃. Speaking of GMV t-shirts, keep an eye out in your email in-box for a link for any offers to order your GMV t-shirt for the event. If you don’t see one, check your spam folder, and also email Steve to see if a shirt is being ordered for the event. You will also find a link for t-shirts, hoodies, etc on our Facebook page. We tend to sell out of t-shirts, so be sure to order one in advance if you want to get one. Click HERE to go to our Facebook page. The next GMV will be held in Mesa, AZ (near Phoenix) on May 4th and 5th!! If you are traveling in from out of town/state, then feel free to take advantage of the group rate at the Best Western in Mesa. We have several rooms remaining that have been set aside for this event. They are $109 for a double queen room. You can share a room with a friend to save some money if needed. Steve will try to help those who need to be paired up with someone, if that’s possible, so reach out to him at the email address below if you need a roommate for the event. You may also want to bring a pen and notepad, notebook, or laptop for taking notes on spiritual warfare on the 3rd. On Saturday, Shabbat, wear comfortable casual attire. A Polo shirt and jeans are very common, but a nice GMV t-shirt works well too 😃. Speaking of GMV t-shirts, keep an eye out in your email in-box for a link for any offers to order your GMV t-shirt for the event. If you don’t see one, check your spam folder, and also email Steve to see if a shirt is being ordered for the event. You will also find a link for t-shirts, hoodies, etc on our Facebook page. Click HERE to go to our Facebook page. The next GMV will be held in Kokomo, IN (near Indianapolis) on Friday, March 2nd and Saturday, March 3rd. 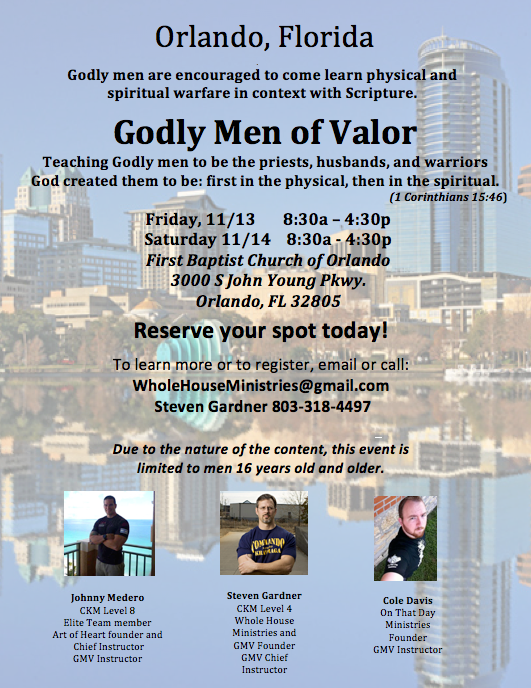 GMV Orlando Nov. 13th and 14th at First Baptist Church of Orlando! YHWH has proven Himself faithful once again. We will be having our conference at First Baptist Church of Orlando! Registration is required to ensure you have a slot. Register HERE!! Eventbrite.com requires a minimum of $1.00 to register. Please donate ONLY $1.00 for your ticket. We are using this site for tracking purposes only. Donations for the event can be made in person at the event.